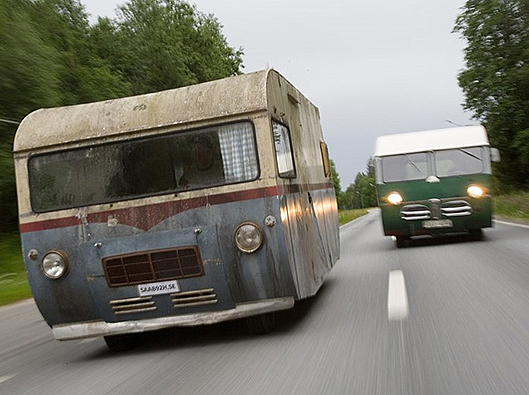 Owning a camper doesn't really mean just buying the vehicle. Sometimes it also means constant improvements and modifications to your camper when you start to use it and find out that it lacks some useful furnishings or needs additional things that would make it more comfortable and convenient for your long or short camping needs. Different camper accessories could answer to theses needs. A typical RV cover is a triple layer polypropylene cover that stops rain while venting moisture to protect RVs, campers, trailers and fifth wheels. Make sure you buy one with a UV-resistant fabric and elasticized corners for custom fit. Storage bag and tie-downs should be included. Bikes give you a lot more range once you've camped up. A bike rack means you can store your bikes handily without taking up any internal storage. These high-quality protective covers camper accessories are available for many popular makes and models of motorhomes, to protect you from the blinding rays of the sun while driving your camper. A solar screen lets in natural light, not the heat, and eliminates up to 85% of the sun's harmful rays. It protects your motorhome's dashboard and interior upholstery from fading, and keeps your motorhome cooler while allowing full vision from the inside, and allows privacy from the outside (daytime). A satellite dish will give you up-to-the minute news, weather and sports as well as pay-per-view movies and events. Don't forgo any luxury. One of the most luxurious experiences on vacation is your hot tub. Until now taking a hot tub with you has been impossible, but not any more. This camper accessory is an inflatable tub designed to be setup next to your motor coach, heated and ready to use in just 1-3 hours. The tub is heated via the motor coach's diesel hydronic (hot water) heater, electric heat using the generator or propane.